Despite what your views may be on The Twilight Saga, the franchise has made absurd amounts of money and it’s been expected all along that star Taylor Lautner was destined for big things in his post-Twilight career. The actor has lined up many various roles in the past year or so, one of which is called Abduction. The movie tells the story of a normal everyday kid who discovers he’s in a directory of abducted children, which opens up a storm of twists and turns as he goes on the run and searches for answers. A trailer for the movie, which is directed by John Singleton and also stars Lily Collins, Maria Bello, Jason Isaacs, Sigourney Weaver, and Alfred Molina, has been released by Lionsgate, and you can see it by clicking on over to the other side now. I admit it – I’m a Brendan Fraser apologist. What can I say? I like the guy. He’s just so damn… likable! I can watch him in pretty much anything and enjoy it. School Ties – Check. 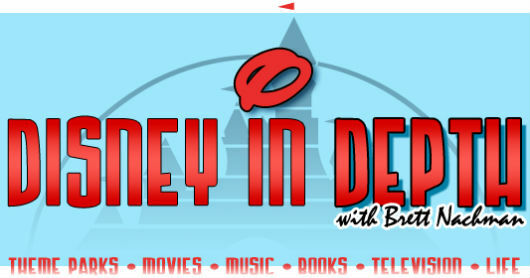 Monkeybone – Check. Blast from the Past – Check. George of the Jungle – Check. Encino Man – Guilty. So I look back on the release of The Mummy with fond memories. It was a funny, adventurous rollicking old-school action flick that remembered what made such films work — it was fun. And Fraser captured that sense of “gee whiz” fun playing Rick O’Connell. When The Mummy Returns came out it was disappointing, but not awful. It felt more like an excuse to try to set up a franchise for Dwayne “The Rock” Johnson than it legitimate continuation of the series. 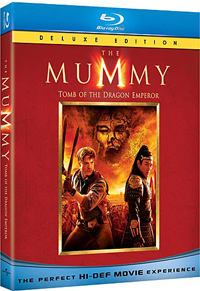 So it was with a healthy dose of skepticism that I popped in the Blu-ray of the newest entry into this series — The Mummy: Tomb of the Dragon Emperor. And all I can say is – Brendan Fraser tried. He really, really tried… and I’m sure he’s sorry. “A History of Violence” didn’t get much exposure during its theatrical run, but you can catch it on DVD March 14. 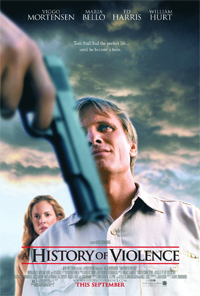 In the film, based on the graphic novel of the same name, Viggo Mortensen plays against type as Tom Stall, a meek small-town family man who’s instantly transformed into a local hero after he overpowers two thieves attempting to rob his diner. But his newfound fame brings attention from more than just his neighbors when a disfigured big-city crime boss out for revenge arrives claiming that Tom is actually Joey Cusack, a former mob underling. Can Tom prove his innocence or is he really a criminal with a history of violence?